Hello friends today we bring an exclusive offer for you. Now you can get free products with free delivery. Yes you are right I am talking about free products worth Rs-200 plus. So be ready and buy something cool. This offer is only for Indian women (age-25+) but you can also able to buy it free. You just need to fill wrong details while registration I will guide you so don't get panic. We are best and our visitors are outstanding. They share our post across many people. Please share our post among others. 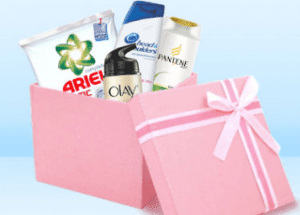 This is the official site, in which they offer P&G products. This is the complete offer, in which you can get Free Sample products in India. Grab these products now, before deal ends. you have to register in this site and choose products of your choice. This offer is powered by P & G Officially. So let’s check it out now from below and let’s have a look at it. While filling registration form please fill your Age 25 or more and Gender should be Female. After successfully verification, add minimum 3 products in Cart and Complete Order for Free. Valid only for 25+ Age Womens India. Free Sample Products will Be Delivered in 8 Weeks. User don’t need to pay any Delivery charges, nor the Sample Products Charges. Valid only for Indian Users, not valid in outside of India. User needs to order minimum 3 Sample Products from the List. What type of error do u face while adding products..